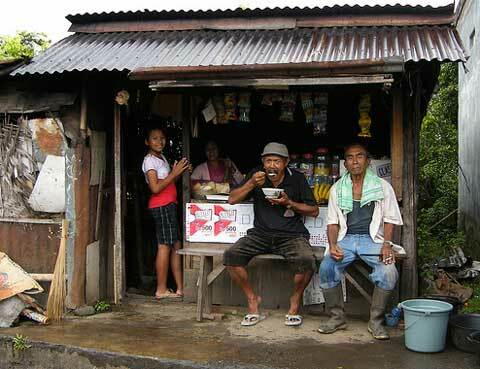 Bali may be overrun with tourists for many years, but it still is for many reasons. 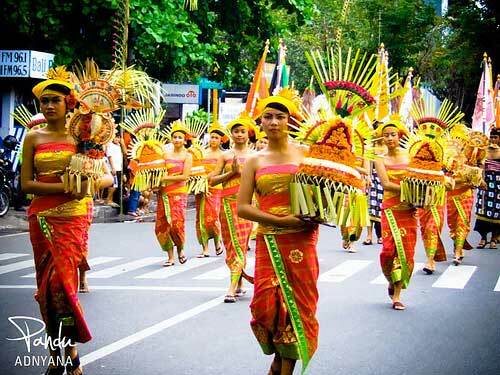 Not only does is there many must visit places in Bali, there are also activities that you can indulge in. Travelers here would not be bored and will definitely find something to do that will suit them. Be it from just partying at the beach and drinking the night away, to culture, arts, and history or from adventures to relaxing with spa and yoga, Bali does have a lot to offer. One of the best things in independent travel is that you have the ample time to truly connect and interact with the locals. Eat at the local warung, chat up with the owner, take a local public transport and talk to people around you, ask for direction, ask for ideas, talk to the people you meet on the streets and just join in some of the fun stuff they are doing. With this, you can learn the Balinese way of life and the how friendly and hospitable the people can be. 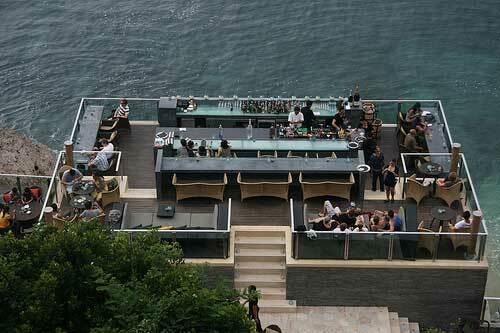 Ayana bar on rocks is known as the best bar in bar with long line of people daily trying to get in and have a drink on this bar that is perched on a cliff overlooking the sea and waves crashing the rocks below. Get a cocktail here, which is surprisingly good, and drink your night away staring at the roaring sea that seem to stretched into infinity with white waves crashing in like a spectacular natural show. If you stay at Ayana Resorts and Spa * you can skip the queue and enjoy every evening! If there is one place on earth you want to learn to surf, Bali may be one of the good choices. Kuta beach have the waves breaking over sand rather than corals, making it a haven for beginner surfers. There are many good surf schools here so you are not short of choice, with famous ones like Odyssey or Rip Curl SchooL of Surf, else you can always hire a local guide for a cheaper alternative. After the surf, relax and unwind with drinks and sunset at Ku De Ta and stay at one of the hotels near Kuta Beach * to maximise your surfing. If the surfs have not broken your bones yet, you may want to try yet another adventure in Bali. 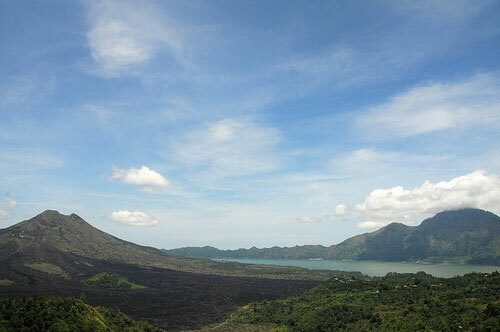 Climb the famous Mount Batur, a volcanic mountain that rises over a lake which beautifully mirrors it. It is best to be conquered in the morning, where there are hikers starting their ascent as early at 4am to reach in time to catch the sunrise at 6am. It may be cold so remember to bring a jacket and always remember to be careful as it is an active volcano and there are accidents that happened on this mountain before. 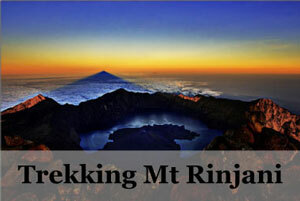 This is not a physically demanding hike, unlike its cousin Mount Rinjani on nearby Lombok Island which takes several days, Mount Batur which stands at 1,700m can be done in just a morning. 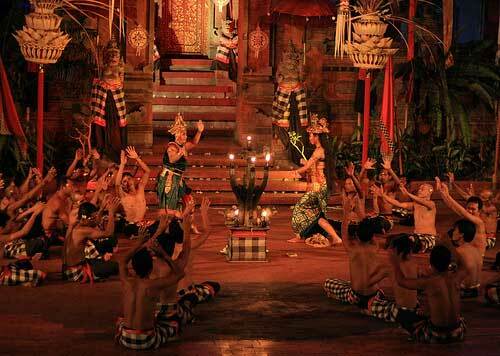 Kecak dance is one of the traditional dance and musical drama in Bali that is enchanting and favourite among travelers. Kecak dance has 150 performers wearing check cloth around their waist chant the word “cak” while throwing up their arms in the depiction of the battle of Ramayana, with roots of the dance dating back to Sanghyang, a trance-like exorcism dance of the old. The best place to watch it is on the temple grounds of Puri Dalem Taman Kaja, where you will find an authentic atmosphere and setting. You can find many cycle tours in Bali now simply because it is such a wonder to explore Bali this way. For those who rather go independent, you may also rent a bicycle and do your own exploring to your heart’s content. Some of the places to explore are the surrounding villages and rice paddy fields, soaking in the arts and culture and the hard-working locals. Also, cycle to Monkey Forest to visit the crab-eating macaques and then head on to Goa Gajah, known as one of the holiest places in Bali. Then end your day in the village of Petulu, where you might catch a massive migration of Heron returning to their roost. Ayung river, right down inside the Ayung gorge, is very scenic for a white water rafting. Imagine yourself rafting through the very heart of Bali, with you riding the wild rapids through rice paddies, people working the fields and children playing. You will feel like as if you are traveling in speed and style through a motion picture of the hidden parts of this paradise island. There are two well-established operators that you can find on the main road in Sayan, but there are also other new operators which open up in recent years. At Jimbaran Bay, you may walk down along the beach and find it dotted with warungs and candle-lit tables like mushrooms after the rain. Here you can dine on prawns, squids and fishes fresh of the sea onto your table, almost literally. Couple it by feasting over the sun setting over the horizon make this authentic setting much more atmospheric. 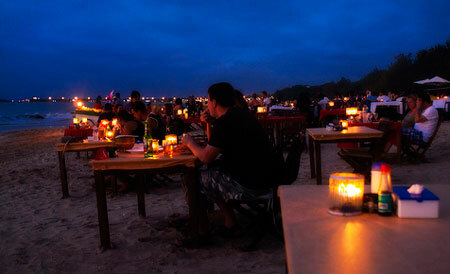 Unsurprisingly, as one of the popular area for people to stay, Jimbaran hotels * are people’s favourite. 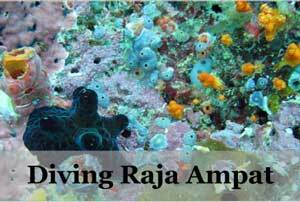 While Bali have so much to offer on land and beaches and mountains, do not forget the marvels of what’s under the sea. 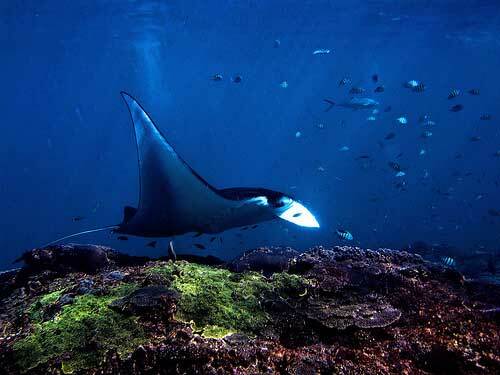 Here the sea is full of wild marine life such as manta rays and turtles while surrounded by beautiful coral reefs. For the best snorkeling experience, take a boat out the coastline to Lembongan Island, where the reefs surrounding it are spectacular. Here divers can also experience a 40 m drop off into the wonders of the sea. Booking.com is a good place to book your stay in Bali as most of the bookings can be cancelled right up to the trip, allowing flexibility. Agoda.com is another good choice to find the best deals as they have the most extensive hotel listings in Asia. My boyfriend and I are planning to go to Indonesia in for 7 days. 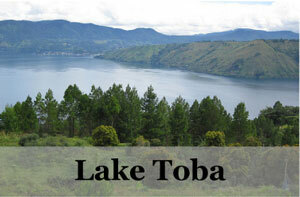 Is it possible to cover Bali, Lombok and Flores in just 7 days. Can you advice us where to go and what to do. We are not that much into beaches. 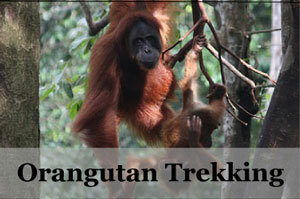 We prefer sightseeing, trekking and exploring. Can you advice us. FYI we are budget travelers. it will be pretty challenging to cover from Bali and Lombok to Flores in just 7 days, you may try but it would be serious traveling. 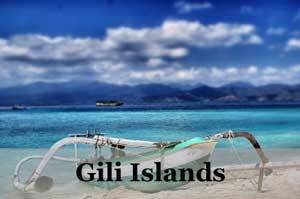 With these days you may cover just Bali and Lombok or if you skip Lombok you can try to fly to Flores. 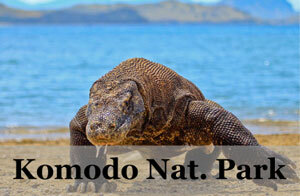 Still not been to Indonesia amazingly – looks really cool though. One day I’ll find myself in Bali, I’m sure. my friend nd I are planning to go 2 Bali for 10 days from 27th of Dec to 6th of Jan. I want to ask you about the weather at that time how would be like? I am visiting Bali from 5th to 17th December. Can you suggest what are some of thing to-do and not-to-do things in Bali during the monsoons? Would be great to catch up and hear from you more about Bali. I have planned my honeymoon in bali in the month of feb somewhere around 12th. Please suggest must to do things and places to stay in bali. Also please share contact details for personal guide during the period. 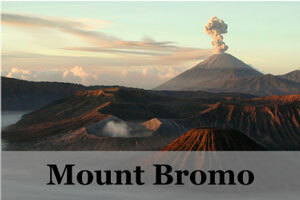 check out our Top 10 Outdoor Activities in Bali for some ideas ;) Have fun! 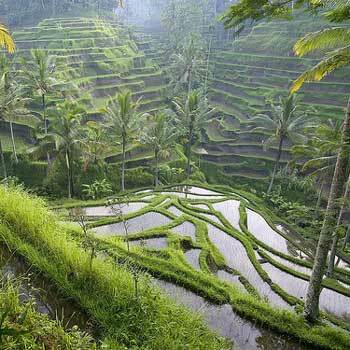 i have plan to ubud anyone suggest best places?